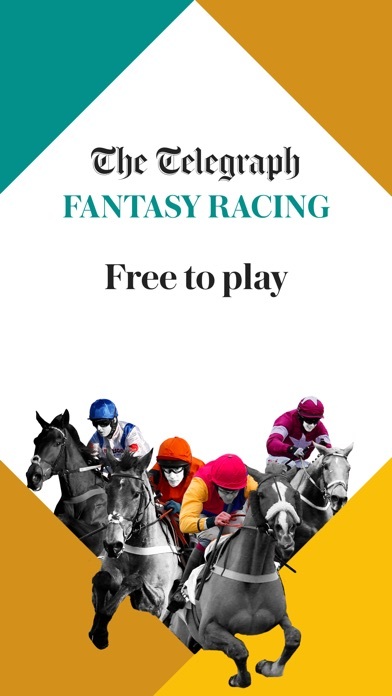 Telegraph Fantasy Racing brings you three of the biggest horse racing events in 2019: the Cheltenham Festival, the Aintree Grand National Festival and Royal Ascot. Each game is free-to-play and there's a combined total of more than £10,000 to be won across all three. 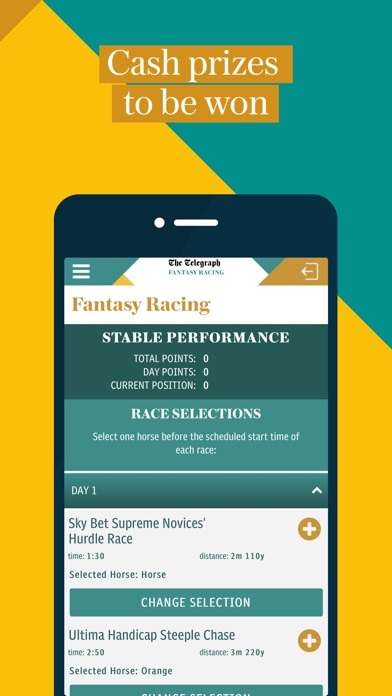 Pick a free stable consisting of three jockeys and three trainers to score you points throughout each Festival. Then, pick a horse ahead of every race to add to your score. 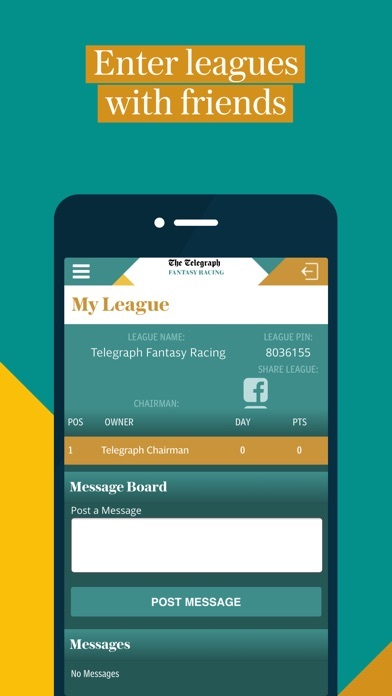 You can play Telegraph Fantasy Racing on your own or, better still, set up your own private league with friends and colleagues. 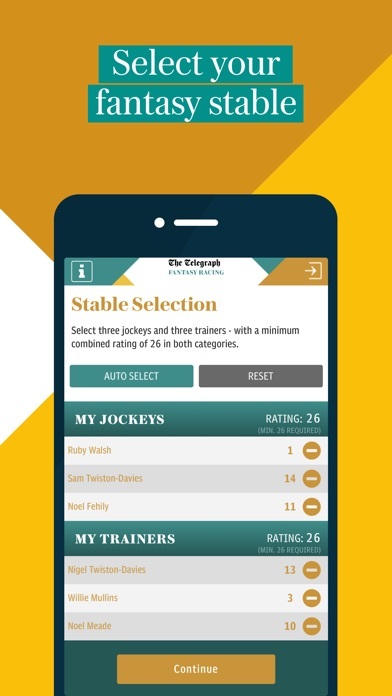 Download the free app today and pick your stable to be in with a chance of winning. Note: Prizes available are subject to age and location. See in-app for full terms and conditions.